From the moment learners pass their driving test they start picking up bad habits. Whether it’s crossing your hands when turning or putting your arm on the headrest when parking. Leaving your tank to get dangerously empty allows the dirt, rust and grime that sits at the bottom of it to get sucked into the system, attacking the fuel pump and filters. Fuel also acts as a lubricant and coolant so letting it run dry can increase wear and tear on the pump leading to failure and an expensive replacement. Most people let their hand rest on the gear stick while driving but it can be damaging to your gearbox. The lever is attached to a control rod in the gearbox that has selector forks designed only to make contact with gears for a short amount of time. Leaving your hand resting with a certain amount of force will make the forks rub against the rotating collar causing unnecessary wear. Similarly, resting your foot on the clutch can cause your clutch to engage, especially if your car has a high bite point. Riding the pressure plate against the clutch causes heat and wear – and new clutches don’t come cheap. Just like athletes, cars need to warm up first. When you start the engine, the oil pump pushes oil around the system and this oil takes time to fully circulate. Starting up the car and driving straight away is like waking up from a deep sleep, opening your eyes and then immediately trying to do a 100m hurdle race. You should leave the engine to run for 10 seconds before setting off. It might be a pain keeping up with services, and expensive, too, but if you don’t you’ll suffer a build up of horrible sludge and burnt oil in your engine. This muck can block oil galleries and stop the oil protecting your engine, which can result in catastrophic failure. And when you change the car’s oil, make sure you change the filter, too. 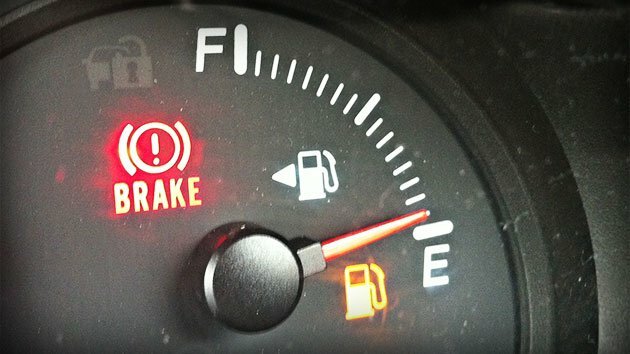 A recent survey found 98 per cent of drivers didn’t really understand the most common dashboard warning lights, such as tyre pressure, engine emissions and fog-light indicators. You might, wrongly, ignore a message telling you that a bulb had blown. But ignore one that says ‘DPF’ – aka ‘diesel particulate filter’ – and you might not even get home. Don’t ignore the dash warnings – because your car’s clever computer knows what it’s doing. If you’ve got an automatic car, it might be tempting to simply always leave it in ‘Park’ mode rather than engaging the handbrake. But doing this puts lots of pressure on one part – a little metal pin called the ‘pawl’, which engages a notched ring that’s attached to the transmission output shaft. Over a long period of time, abusing the pawl can dislodge or damage it, meaning you might one day leave your house, look frantically for your missing car, only to find it parked at the bottom of a hill. If you’re always on the brakes because you’re driving too close to the car in front you need to back off. Not only is it hugely unsafe but sudden stops cause faster wear to the brake pads and discs. Keeping engine revs low can save fuel but “lugging” – being in too high a gear at too low a speed – actually creates unnecessary strain on the engine and can damage your cylinder heads, leading to expensive repairs. Similarly, using a low gear that has the engine screaming is going to cause unnecessary wear and tear, too. Has your car got a turbocharger? This is a contraption that forces extra air into the combustion chamber and increases power. And it takes longer to cool down, compared to your engine, when you come to halt. It’s important you idle the engine for around a minute before switching off in order to make your turbocharger last longer and make sure the bearings don’t break.